When your smartphone starts acting up and when nothing seems to help, what do you do? Owners of future HTC smartphones will have an easy way out of such a scenario. That is because HTC and LogMeIn have partnered up in delivering remote diagnosis and assistance services to HTC Android smartphones. Future HTC Android devices will come with the LogMeIn Rescue software pre-loaded. Upon request, an HTC user will be able to have their smartphone diagnosed and configured remotely by an HTC care representative in order to resolve technical issues. Doing so would be possible regardless of where in the world the user is located, as long as the device in question is connected to the internet. All communication between the HTC smartphone and the service representative will be done over a secure connection. For more details, we have embedded the full press release below, so check it out if you are interested. Unfortunately, the list of devices that will come with LogMeIn Rescue pre-loaded has yet to be announced. WOBURN, Mass., March 19, 2012 (GLOBE NEWSWIRE) -- LogMeIn, Inc. (Nasdaq:LOGM) has entered into an agreement as HTC's preferred mobile remote support software provider. HTC will employ LogMeIn Rescue—LogMeIn's flagship remote support and customer care offering—across its worldwide call centers, delivering state-of-the-art remote support to HTC customers. Future HTC devices that run on the growing Android OS will feature LogMeIn Rescue, giving HTC customer care and support staff the ability to remotely configure, diagnose and troubleshoot a technical issue wherever the customer has a data connection. The LogMeIn capability will offer HTC customers with advanced over-the-air mobile support at a moment's notice, virtually anywhere in the world. "HTC is committed to providing the best and most personal customer experience in the mobile industry, from designing great products to delivering superior after-sales service and support," said Simon Harper, VP of global customer experience at HTC. "We believe LogMeIn's technology, team and vision are a great match for HTC and for our customers and will allow us to continue to create great experiences for our customers." 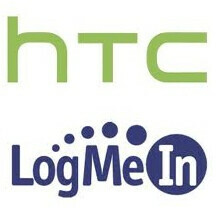 HTC will pre-deploy a user-enabled LogMeIn Rescue applet on future HTC Android devices, with the mobile operator's consent. The pre-deployed applet gives customers the ability to securely connect their devices to HTC customer care representatives during active support calls. Once connected, HTC technicians can run remote diagnostics, push common device and network configuration settings, and remotely control the customer's device to resolve issues. "We believe that a focus on the overall customer experience helps to define the most respected brands in mobile," said Lee Weiner, LogMeIn's VP of Customer Care products. "For market leaders like HTC, customer care initiatives can provide key opportunities for differentiation in an increasingly crowded marketplace. By working hand-in-hand with one of the world's most respected manufacturers, we believe we have a great opportunity to create a new standard for mobile customer care." LogMeIn Rescue gives helpdesks and support staff the ability to remotely configure, diagnose and troubleshoot tablets (iOS, Android), smartphones (Android, iPhone, Symbian, BlackBerry) as well as PCs and Macs. A web-based offering, Rescue combines remote control with device configuration, live chat and diagnostics capabilities, enabling customer service teams to fix common issues on any device with a web or mobile connection, as if the device were in their hands. First of all: first. Also, love the misleading title: "HTC smartphones" - I own a Radar, what now. Wonder if this LogMe IN will also work like Carrier IQ gathering more info than needed? you know what,that is a very good question i hope they have a very good answer for that! People, I have used LMI for several years, it's just like PC Anywhere or any other remote-control software.....it's wonderful. Relax, everything will be just fine. Breath in.....breath out. I'd rather have the option of having a "skilled technician" try to fix my phone remotely versus sending it in for a refurb. After replacing a few phones earlier this year, I can tell you how much of a total pain in the @ss to set them up again.